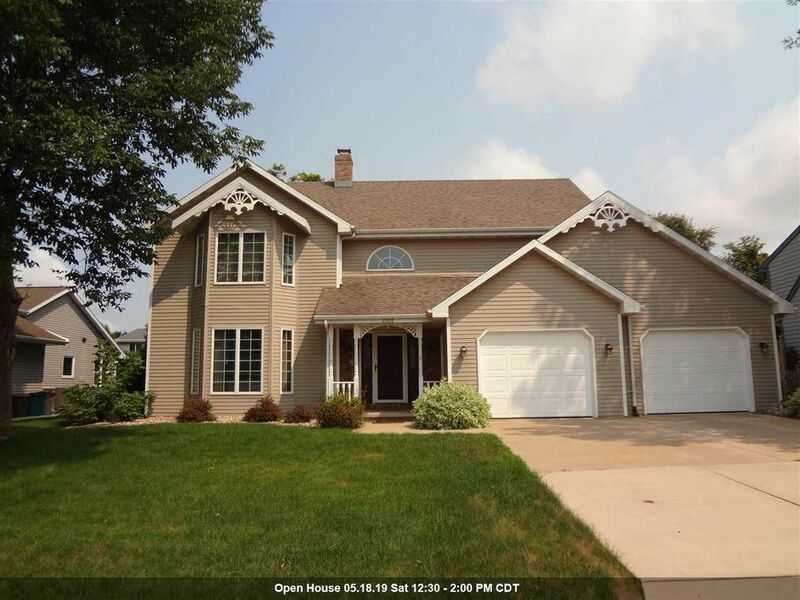 Beautiful two story home on the north side of Appleton. 4 Bedroom, 2 Full and 2 Half Baths. Attached 2.5 Car Garage. This home offers large living space with gas fireplace. A great kitchen with large eat in dining adds to this wonderful floor plan. Formal Dining for those special occasions. Large bedrooms and the master bedroom has its own private bath with whirlpool tub. The basement has a family room with dry bar, and a space to tap the quarter barrel for your parties! Beautiful landscaped yard with a backyard deck (16x15). Covered front porch. Garage has a heater/pull down attic.